Coedo Shiro – a hefeweizen that is best served chilled. Coedo Beniaka – an Imperial style sweet potato amber, classified as a happoshu due to the low malt content. 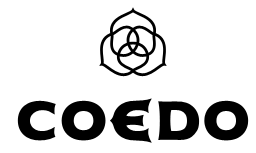 Coedo Marihana – Coedo’s take on a session IPA. Coedo Gattsu Pozu – a 10% double IPA, produced as a collaboration between Coedo, based in Saitama, Japan and Fieldworks Brewing Company. Coedo Imperial IPA – a double IPA. Coedo Regista IPA – 6% American IPA brewed with Simcoe, Mosaic, and Motueka hops.